Over a week into January - a belated HAPPY NEW YEAR TO ALL! 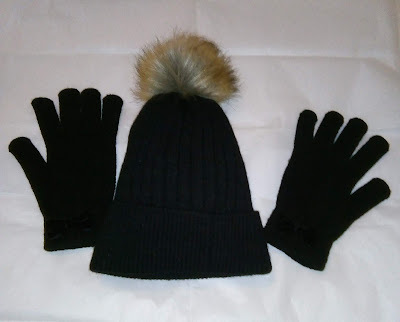 It's been a cold start to 2019 and I was pleased to wear my beanie with the faux fur pompom from Primark, bought at the beginning of the season. 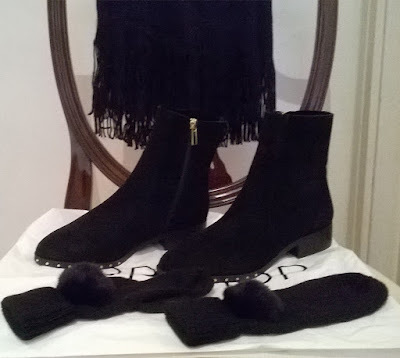 Black Suede Sock Boots trimmed with small studs from Topshop, a Black Scarf with fringes and black mittens with faux fur pompoms, both from H&M. It was so nice to receive H&M gift cards at Christmas from the family and I have already spent some of it on a couple of warm things. Living in a flat with polished wooden floors, slippers are an essential for me and I bought these soft grey, cable-knit slippers trimmed with a bow and pompom and lined with a lighter grey faux fur. The soft soles have anti-slip protectors. 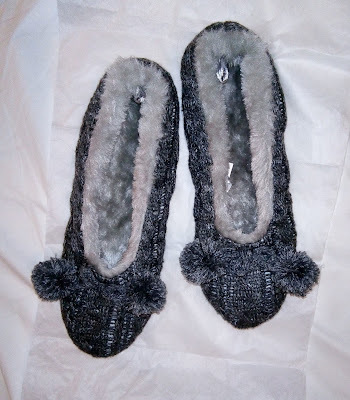 It will be lovely to slip my feet into them on a cold morning! 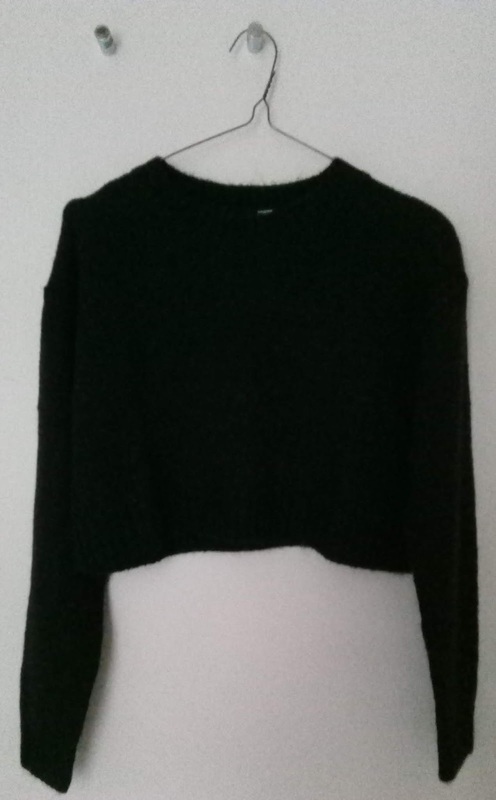 Amongst the "new arrivals" for the new season in H&M's Divided range, I found this warm, soft-knit black jumper, with ribbing around the round neck, cuffs and hem. The shape is fashionably short. I mentioned that I had a spare little sample tube and that I would save it for the winter. La Roche-Posay claim that it helps to reduce redness very quickly and I thought that I would try it out when my face was affected by cold, wintry weather. Yes, it did calm the redness down really fast and soothed away any feeling of soreness. I think this is a very soothing moisturiser and well worth buying. Although I have used the same excellent moisturiser for years, I am thinking of buying Toleriane Ultra as an additional treatment when needed. 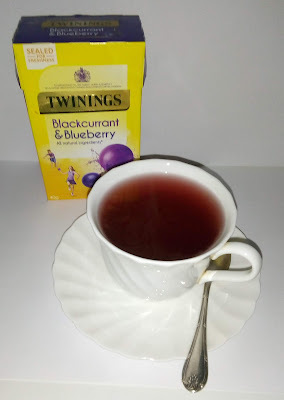 Now I am going to warm up with a lovely hot drink - a cup of Twinings Blackcurrant and Blueberry tea! COMMENT: I thought Lady Gaga looked wonderful at the Golden Globes awards recently in a blue Valentino Couture dress, blue tinted hair and diamond necklace from Tiffany.